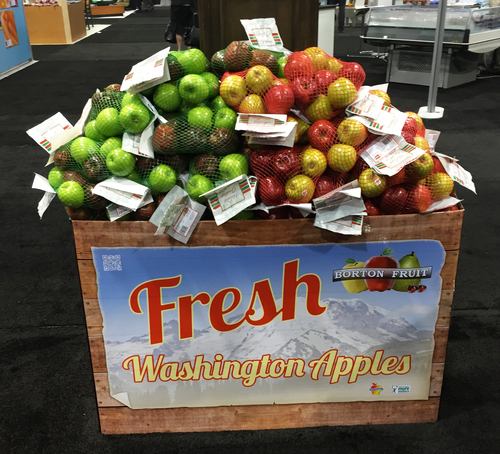 The 2014 Fresh Summit in Anaheim California was quite the event this year, held October 17th – 19th gathering 22,400+ attendees, including 1,159 retailers and 1,090 companies exhibiting. This was record breaking attendance for the annual event which began back in 1949. The show continues to pull in a number of Produce Industry Professionals providing a platform for exchanging important, new and innovative information about current and future industry trends. 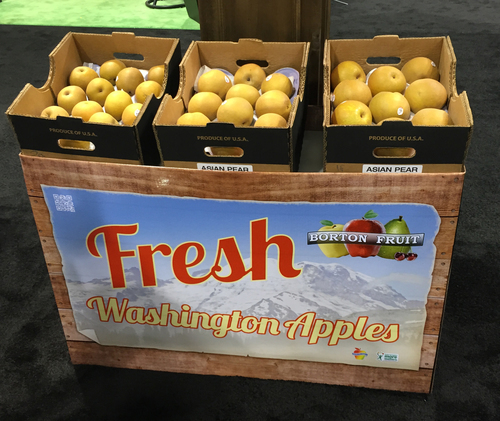 Borton Fruit had an array of samples at the booth to show our current and potential new customers that came through. 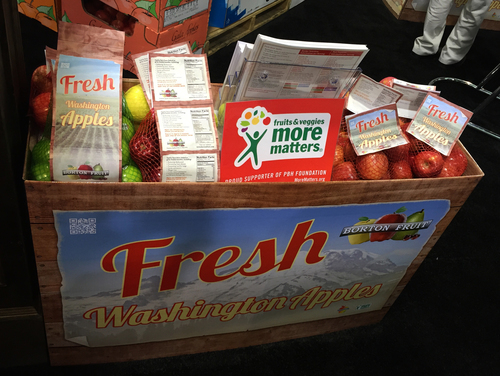 “Saturday was possibly the busiest day we’ve ever experienced at PMA’s Annual Fresh Summit,” stated Lindsay Ehlis, Assistant Director of Sales & Marketing. 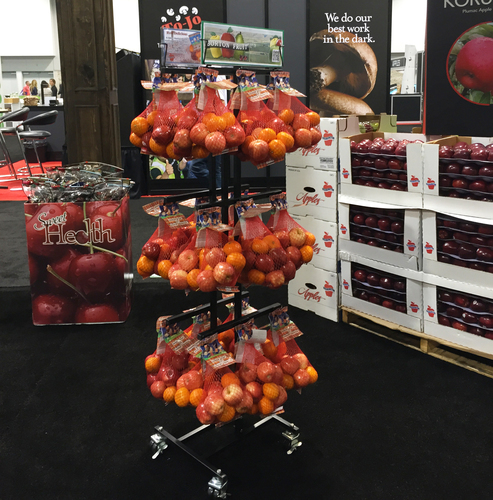 “We received promising feedback on a number of new items displayed in the booth. We displayed mock-ups of new packaging including new soft-net bag film headers and secondary display bins that tie together as well as the finalized graphics on our new box which will be one of the highest quality in the industry,” she went onto say. 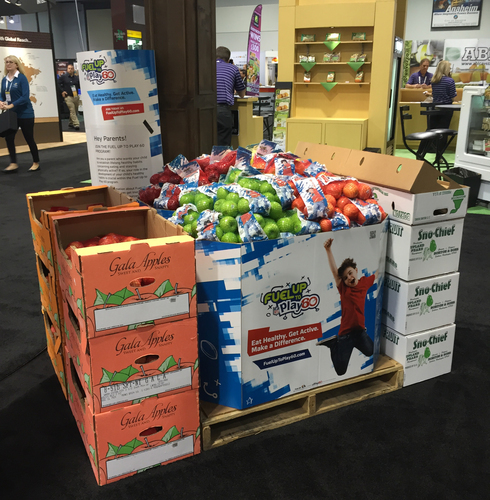 In addition to the new innovative packaging and products that were discussed throughout the show floor, current and future technologies were a hot topic. 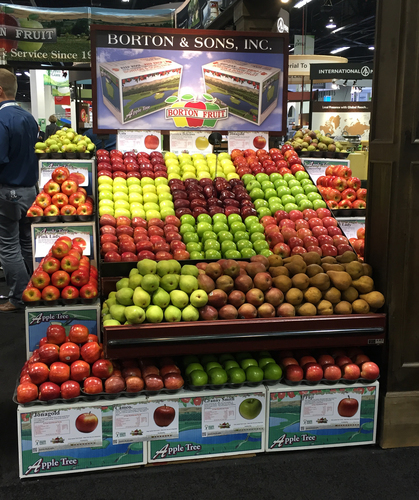 “The transforming change of the Produce Industry is being driven by the farmer’s ability to remain competitive in an increasingly regulated industry coupled with the consumer’s call for transparent food production system,” says Sky Johnson, part of the Sales & Marketing team. “Walking through the showroom floor it wouldn’t take a technology futurists vision to identify that robotics, software, sensors and innovative research are increasingly gaining attention of farmers, food chain distributors, global retailer and consumers alike. The awareness of the benefits found in improved food production systems is continuing to drive purchasing decisions of the food supply chain. It is undoubtedly indicated that consumers are beginning to show evoked emotional attachment to the origins of their food source,” states Sky. 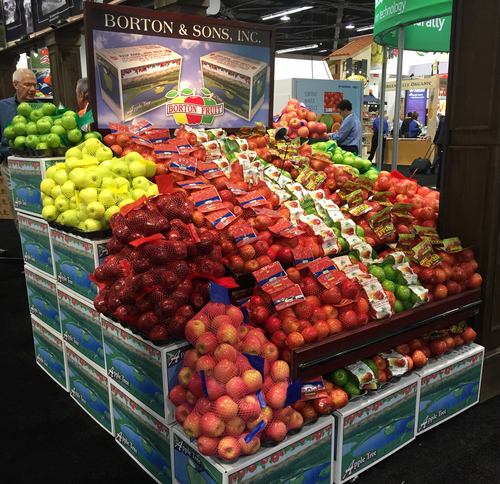 Overall the show was a great success for Borton Fruit. Not only do we learn about new and exciting products and technologies at this show, but it’s our time to educate our customers on all the implementations we are continually making to stay in front of this ever changing environment. Thanks to the Produce Marketing Association for bringing everybody together each year to see and discuss these trends first hand.